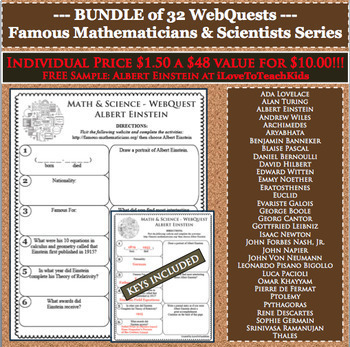 Engage your learners in fun, interactive, and creative ways to discover more about famous mathematicians throughout history using WebQuests. 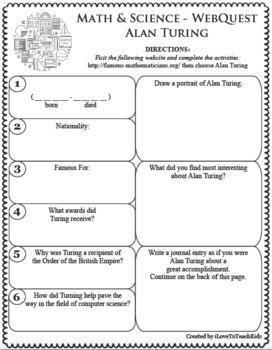 Activities are differentiated allowing students to respond to open-ended questions reaching individual levels. NO PREP and READY TO GO! 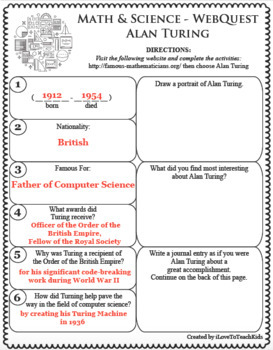 Great for sub (substitute lesson plans). Each works well as a quick, textbook-free, in-class, or homework activity. Just print and go!